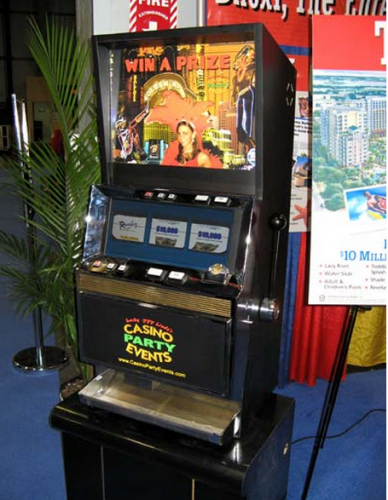 Guests will have a chance to play a real Vegas slot machine. Pull the lever, watch as the wheel spins and lights flash. You can offer a range of prizes based upon your budget.